Last week, community members from across St. Louis joined FoodSpark for a brainstorming session about ideas on Arts & Culture. Throughout this interactive experience, seven ideas were shaped by nearly thirty people who engaged with us. 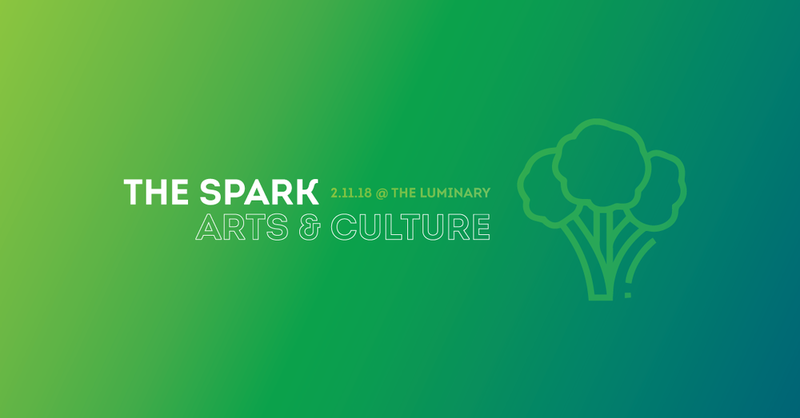 This catered dinner will convene community members, arts lovers, foodies, local leaders, and more to celebrate ideas that have been sparked around Arts & Culture in St. Louis. With ideas being pitched throughout the evening, ticket revenue from the event will provide a micro-grant to one idea voted on by attendees. Do you have a project or idea you've been working on related to this subject? Submit a proposal of your project to be pitched for a chance at receiving a micro-grant by e-mailing a one-page PDF proposal about it to team@foodspark.org by Wednesday, February 7. For some, this time of year may conjure discussions on hard and brave topics. FoodSpark has compiled some of its conversation guides and resources from past dinners to help facilitate conversations about pressing social issues. Check out the guides. Join our St. Louis Facebook group. Volunteer with us, and join our team. Host your own FoodSpark events. Share FoodSpark with friends via the links below.